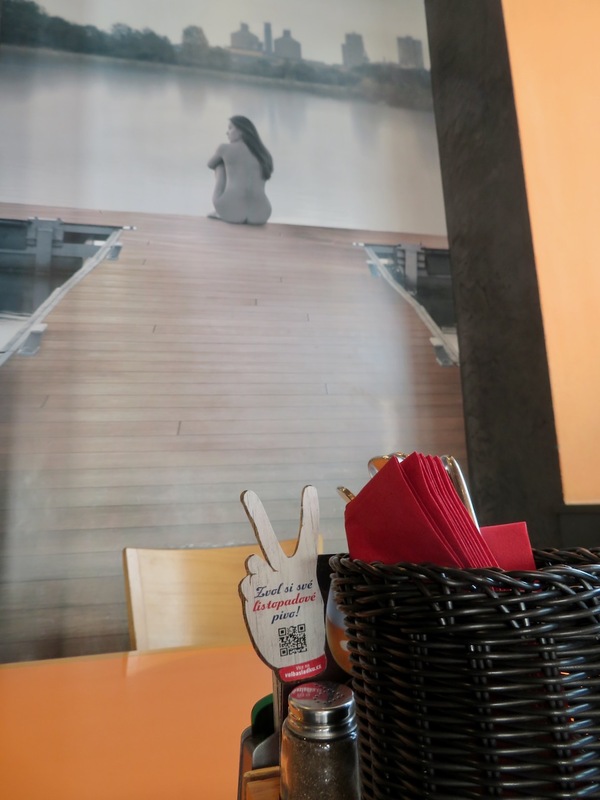 Seen in a restaurant in Holešovice while enjoying a dry tortilla. Note the industrial scenery on the other side of the water, with the chimney between those two silos. I haven’t checked the other rooms if they show also naked young men, but I guess they don’t. Previous story Beer Cheaper than Petrol?